|| Author: Kim LaCapria|Tags: Kindle Fire, Time Inc.
As the Kindle Fire makes its way into consumers’ hot little hands all around the US and Barnes & Noble readies to launch the Nook Tablet, it seems magazine publishers are scrambling to get their content onto the devices sooner rather than later. Earlier this week, Condé Nast announced a deal to bring all of their titles (with the exception of Vogue, delayed until 2012) to the Nook Tablet and Nook Color, and today, Time Inc. announced that it had brokered a deal to sell digital versions of its print magazines for the newly-released Kindle Fire. Available immediately for the device are Fortune, Real Simple, Sports Illustrated, TIME, and People, with other titles to follow “shortly,” a press release confirmed. Subscribers will be able to access the titles at no additional cost, Time Inc. adds. It’s important to note that Time Inc. is the only publisher designing all of its digital magazine apps specifically for tablets. Because we’re producing a rich consumer experience made for each device, our brands translate beautifully — and the Kindle Fire is no exception… Adding the Amazon launch to our platforms has meant that IT and other dedicated teams have had to work quickly and nimbly. I want to offer a special thanks to all those who have been hard at work bringing our brands to life on tablets. 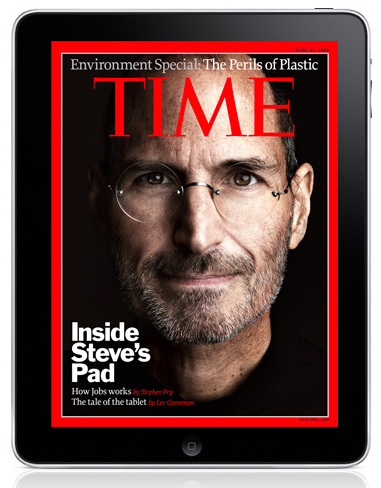 In addition to Kindle Fire, Time Inc. titles are available on iPad, Nook Color, the Nook Tablet and for Android.